There will also be an open sale of fabric, patterns, yarn, books, and other miscellaneous items on Saturday December 10th. (In time for some Holiday making...!) Equipment not already sold will be on hand for you to check out. ALL OUR FLAT BED KNITTING MACHINES ARE NOW SOLD...... Thank you! 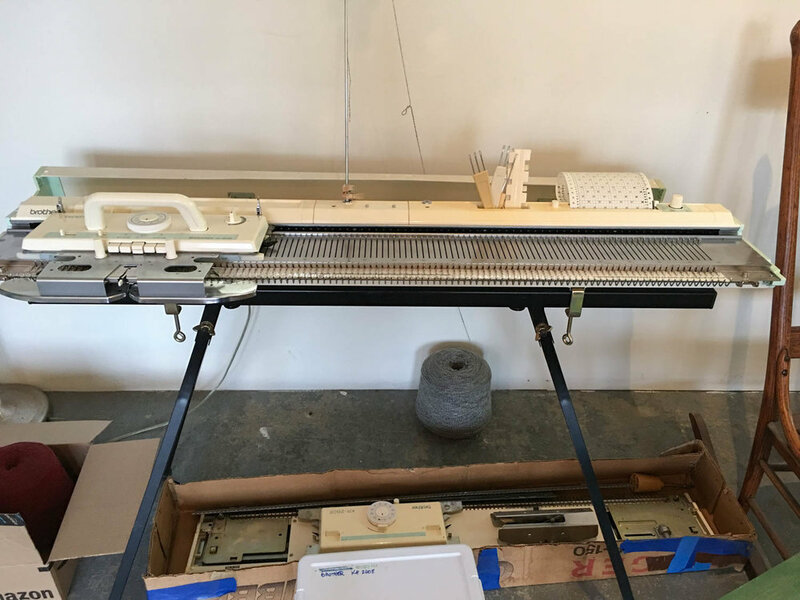 We have five flat bed knitting machines that I am selling. All of them have been restored within the past three years, and subsequently have seen very little use. I was unable to secure the consistent services of a qualified teacher, so these machines have been safely in storage. (3) Singer Memo Matic 360 $450/350. Each comes with tools and a ribber. Harmony Knitters circular sock machine $1,500. 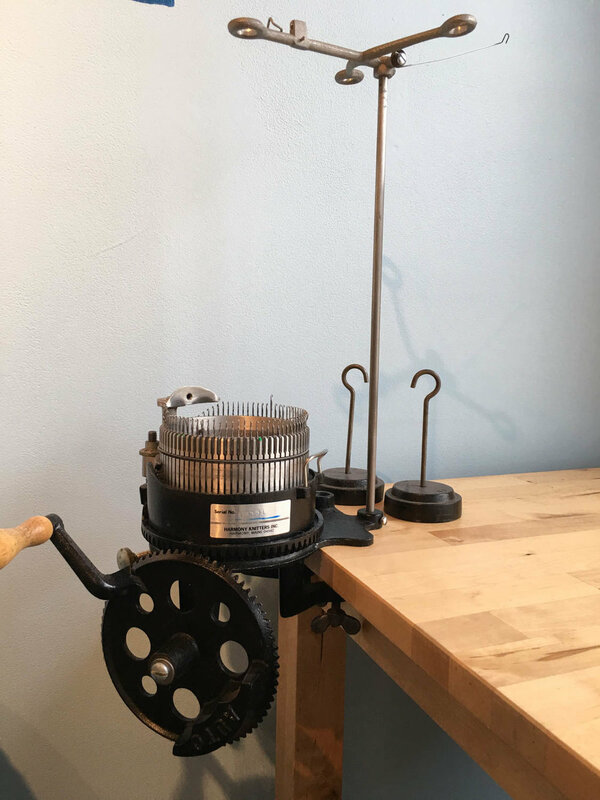 This unit comes with 2 gauges for knitting in the round - two cylinders and a ribbing plate. One average size, one plus size.